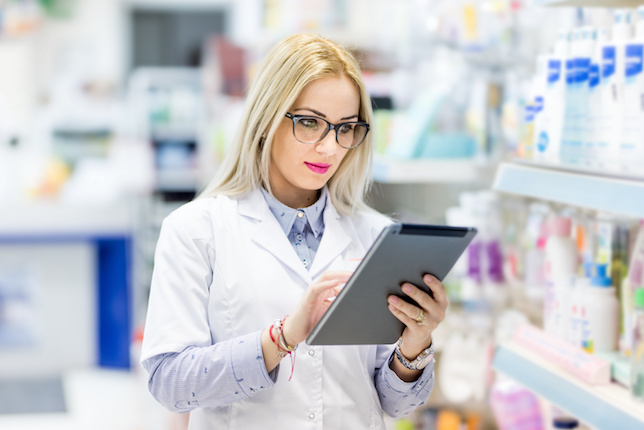 Like pharmacists, whose jobs are becoming more clinical and patient focused, pharmacy technicians are also seeing their roles evolve. With a growing number of states allowing inpatient and/or outpatient accuracy checking technician (ACT) programs, the development and implementation of these pharmacy services continue to increase. As with any significant cultural change, however, growing pains are inevitable. Here we will describe a few challenges and barriers encountered while developing and implementing an ACT program within the inpatient pharmacy service at our 100-bed medical center. Let’s begin with a few procedural barriers that have become apparent in our recent program development. As stated, many hospitals and medical centers have an ACT program up and running. As we began to develop our program, we found it easy to acquire information to help us get on our feet. Thus, as we began to dig further into different documents, we started to realize there were a lot of checklists, position descriptions, and other items with similar purposes but different names. Narrowing down which items were asking for the same things, as well as which were actually different, was a significant hurdle. Although we want to make sure we are including and tracking the correct things, we also want to avoid doing unnecessary work. As these programs progress and become more popular, creating a standard learning procedure and manual will be vital to ensuring all programs are as uniform as possible. We are all entirely too busy to worry about duplicating work or eliminating something unnecessary because of a surplus of information. To start, eliciting staff engagement was an important part of our ACT implementation. The first strategy was to notify all stakeholders whom this program would affect. For our facility, this included inpatient pharmacists, inpatient technicians, pharmacy management, and the inpatient team, including medical providers and nurses. This was a critical step in ensuring effective communication regarding this new program and, in turn, making sure that all questions were answered so we could move forward with the implementation. Second was to get the inpatient pharmacy staff together to go over literature associated with the ACT model. This included accuracy rates of technician checks, reported pharmacist time spent on clinical tasks, and pharmacist satisfaction with the program. The third strategy was to begin with a gradual imple- mentation. We started this with only cart fills in order to increase comfort with the program. Slowly, more checking items will be incorporated as we move toward completion of the program. Implementation and involvement with an ACT program is not only for staff pharmacists and technicians. Pharmacy residents can also play a significant role. Depending on the specific residency program, American Society of Health-System Pharmacists requirements can include the implementation of a new pharmacy service, for which an ACT program may be a perfect fit. This, of course, comes with evaluation of the outcomes of the service, which could potentially fit in with the validation requirements that are part of most ACT programs. Based on our experience, however, some staff members may be hesitant to have their outcomes evaluated and potentially published as a residency project. Another potential resident role lies in training technicians going through the program while residents are on select rotations. A challenge of this may involve additional training for residents who may not be as familiar with the processes and may not be ready to train others on them. Finally, one of the biggest hurdles was obtaining technician buy-in. This may come as a surprise, given that the program enhances technicians in their careers. However, though technicians are unique creatures in that they enjoy working hard and want to expand their roles as much as possible, that can come with a price. In implementing our ACT program, we have found it difficult to persuade technicians to take on these expectations and roles before acquiring any reward or benefit. A technician is not the highest-paying position, though it includes many responsibilities. It is a field that requires no or minimal secondary education, depending on the state, but often there are demands that would belie that. We think the best way to get through to technicians is to find those who are passionate and want to start these programs and have them slowly break in others who may be more reluctant. The technicians will be the backbone of the ACT program and will need passion to make sure it runs as accurately and as efficiently as possible to support the pharmacists. Kathleen O’Dell, CPhT, is a clinical inpatient pharmacy technician, at Boise VA Medical Center in Idaho. Lindsay Crawford, PharmD, BCPS, is a clinical pharmacy specialist at TelePACT and the VISN 20 V-IMPACT Hub in the Boise VA Medical Center. Ianitza Bankova, PharmD, BCPS, is a PGY-2 ambulatory care pharmacy resident at the Boise VA Medical Center.